Harvey is a handsome, small-sized chocolate male that we purchased from Six Mile Labs in Illinois. 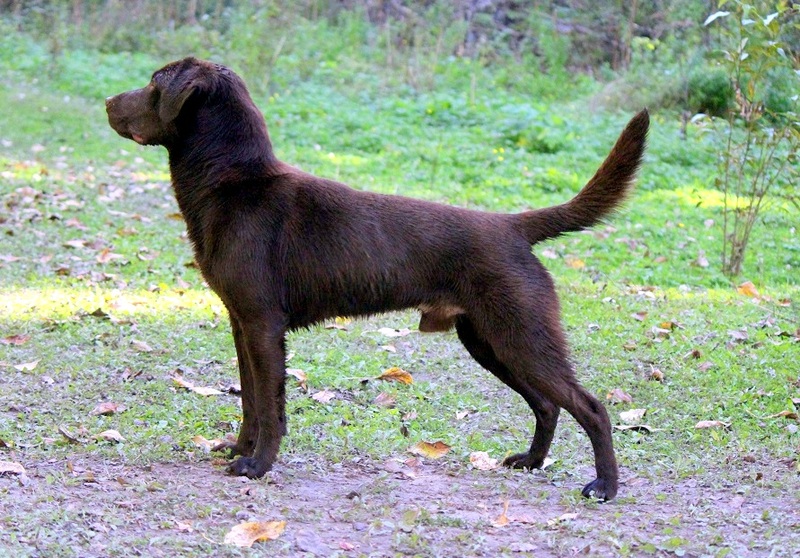 He has an unique pedigree, full of dogs who have done well in hunt test, obedience and pointing retriever events. 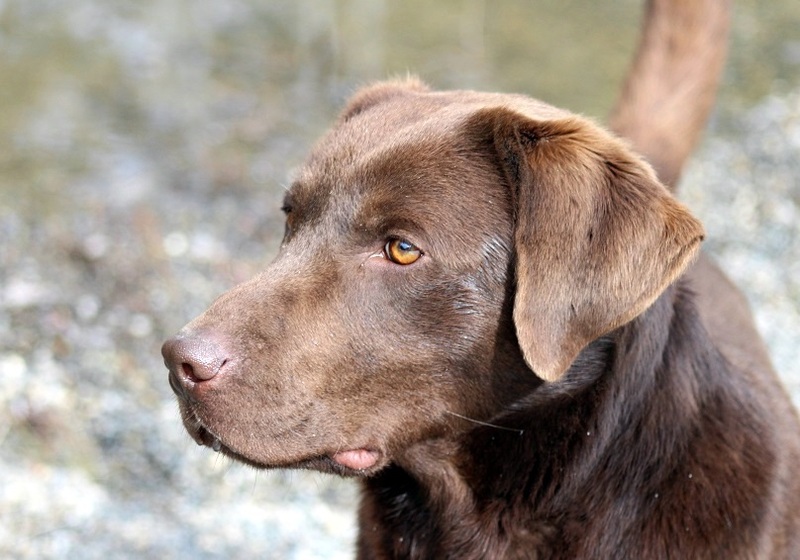 His sire is a Canadian Champion, Hunting Retriever Champion and Senior Hunter with master passes, and comes from the famous line of Chilbrook Labs, who are known for their amazing skills as medical detection dogs. Harvey is excelling in his training and is proving to have good drive, a clownish sense of humor, an incredible love of birds and water and a very social, willing temperament. He is very clever and learns quickly. Harvey is currently in training as a hunting dog, dock diving and rally obedience competitor. He has done some obedience and agility and will continue to pursue those sports as well. In his first very dock diving competition, Harvey had a personal best of 19’1″! He’s since bested that by jumping over 20′ and finishing 6th at the BC Championships in 2016. He has the most impressive natural ‘pop’ which amazes everyone who sees him. Harvey is on the brink of several titles having earned 2 qualifying scores in CARO rally with first places, and several agility Q’s. We’ll aim to finish those up soon and he has recently earned his pre-novice obedience and novice CKC rally titles. Additionally, Harvey went to a small local dog show last summer just for fun and was awarded a championship point for being judged the best of male Labradors in that show! Harvey is available at stud to approved females (must be clear of SD2 as well as meet standard requirements- email for details).